Jaitley's remarks came in the wake of some recent judgements like that on the national anthem and the social media, where the judiciary adopted a different approach than in the past. 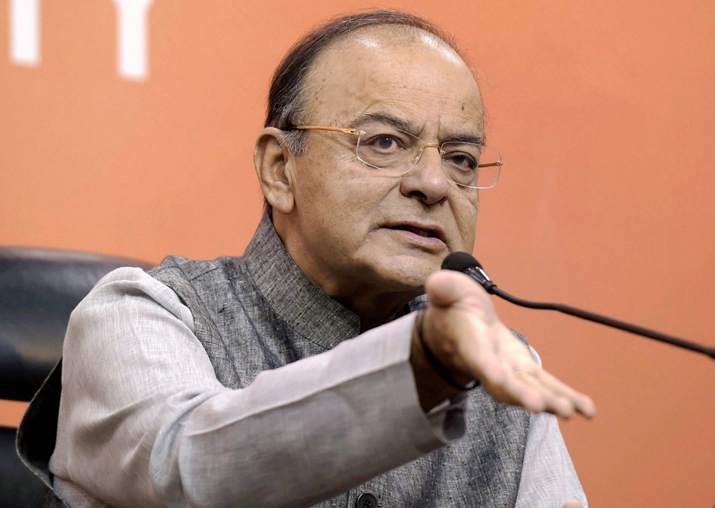 Finance Minister Arun Jaitley today said the judiciary should have a long-term "judicial statesmanship" and not be influenced by the events of the day. "I think there is, as Parliament needs it, politicians need it, I think the judiciary also needs a long-term judicial statesmanship, not to be influenced by the events of the day," he said. "Are you being influenced by the events of the day or are you looking at the long term," he asked. His remarks came in the wake of some recent judgements like that on the national anthem and the social media, where the judiciary adopted a different approach than in the past. He said there needs to be an institutional mechanism for the future and cited examples of the court's verdict on Section 66-A of the IT Act and then on the national anthem. Jaitley, himself an eminent lawyer, said the Supreme Court first struck down Section 66A of the Information Technology Act, but when someone later wrote a blog or made a comment on judges, courts started discussing how to restrain social media. Similarly, he said, on the national anthem, the courts have adopted "multiple approaches" by first allowing the Jehovah community not to sing it in the 1980s and then treating a letter by a former Chief Justice of India as a petition and saying there should be part of fundamental duties that one must sing it. "On the national anthem, I think there have been multiple approaches that the court has had," he said, adding that the courts "started a different approach (on it) and then the cinema hall order came and then the sleeve observation came." "I think there is something which is needed. Parliament needs a vision for the long term, governance needs that vision, politicians need an element of statesmanship and the judiciary also needs an unusual level of statesmanship, which is not influenced by the events of the day," he said. Jaitley also cited the example of the Rohingya issue, which he termed as a "very sensitive issue", and said it involves demography, impacted relations with neighbours and has security and foreign policy connotations. "There is no judicially determinable standards for deciding foreign policy issues, as they could be impacted," he said.